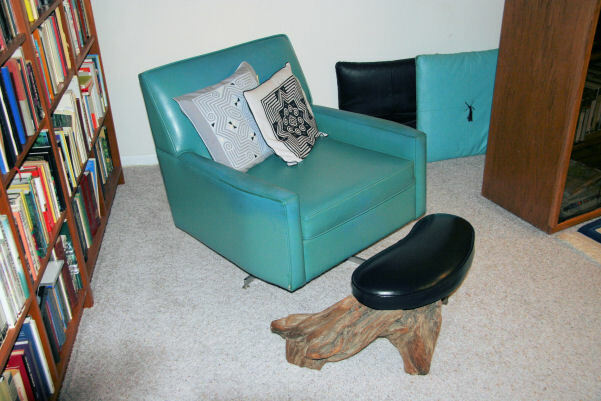 This Foot Stool came from an Oregon Beach. I have long forgot where it came from. I learned to sew the cover for it after I put some foam on top of the board I cut for the stool top. It is a fun addition to our home.